Tea-lovers know there are plenty of things that pair well with tea, like honey and lemon, or milk and sugar. But let’s explore some less-expected accompaniments and look at what goes well with tea. A cup of tea always tastes a little better from your favorite mug or brewed with your best kettle. The right table-setting can really help shape the mood and brighten your tea-drinking experience. Feel crisp and formal with flowered teacups for a classic tea party, or enjoy warming your hands around an oversized ceramic mug with plenty of room for a whipped-cream-topped latte. Or sip frothy, whisked tea from a traditional green tea matcha bowl. Find some cute tea accessories for your next brew, like the Heart Tea Infuser, or contemplate the perks of your favorite imperfect teaware through the Japanese philosophy of Wabi Sabi. 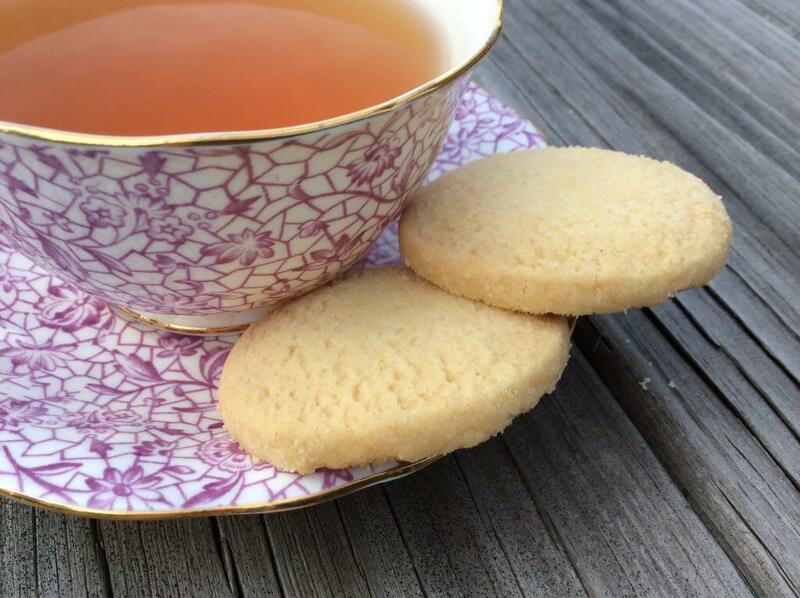 Food and drink go together hand-in-hand, so it’s always a great idea to pair a snack with your cup of tea. Biscuits and cookies are delicious sweet treats at teatime, and can be handy for dunking into your mug for the best flavor combination. If you’re feeling especially adventurous, tune up your recipes by cooking with tea right in the batter, like these Earl Grey Brownies, Chai Monkey Bread, or Green Tea Matcha Mousse. 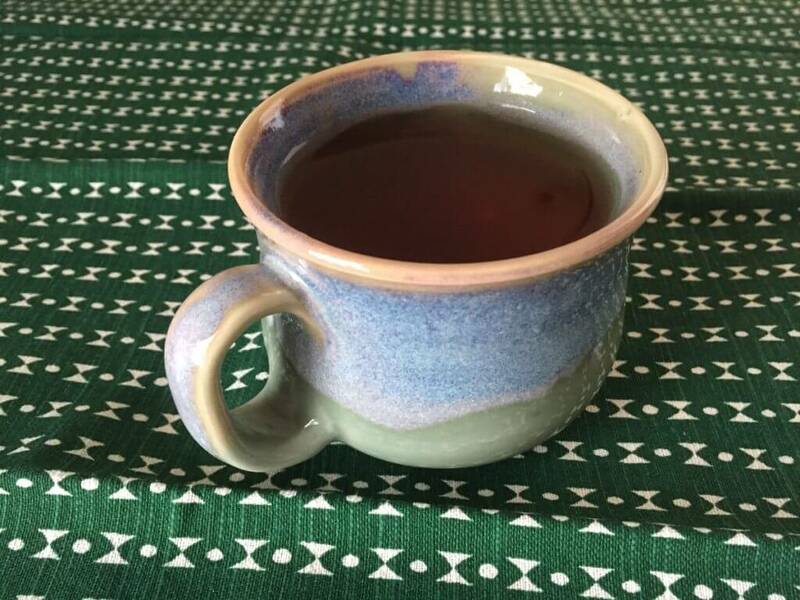 Taking time out for a cup of tea can often be a much-needed break from a busy schedule, which is why some intentional quiet time goes well with your next cup of tea. Learn to build more quiet into your day by tuning out from your devices or getting out into nature (don’t forget to bring your thermos). Take your tea focus to the next level by turning your tea-brewing break into a ritual of being present in the moment. Or if all that being quiet philosophy isn’t your style, find some time to listen instead, and cue up your favorite podcast to go with your brew. Check out Plum Deluxe’s podcast here. What’s better than one cup of tea? A second cup and someone to share it with. Friendly company goes great with your next cup of tea. Make tea your next occasion: have a tea party with your niece, share a mug of your favorite flavor with someone special, or have a chat with a friend while they help you drink a full teapot. Learn more about getting the most out of your quality time with loved ones. Or share the fun with a full-on themed event such as a garden party, trivia night, or an ice cream social. Get some entertaining ideas here. 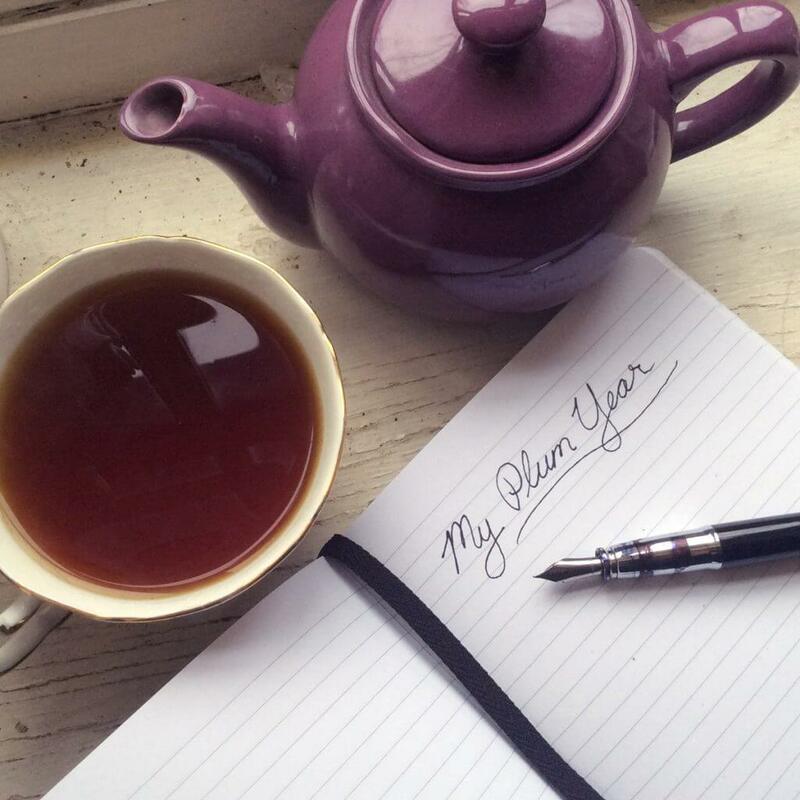 If you have a habit of making tea, use it to help encourage a habit of writing and journaling. Writing is a great companion to a cup of tea. Use the time you brew and drink your tea to reflect upon yourself, your surroundings, or even just the flavors in your tea. Experiment with keeping a tea journal, or try on one of our journaling prompts for size. 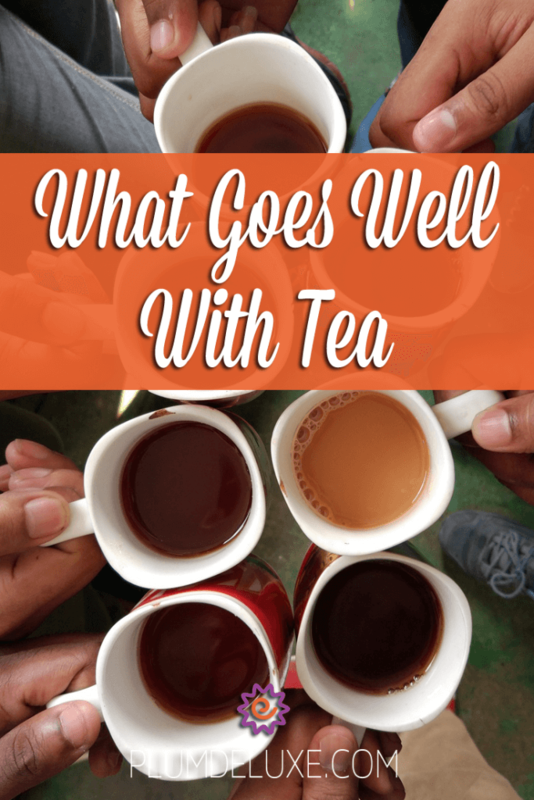 This is just a sampling of what goes well with tea. I hope these ideas help your mind, spirit, and palate while those tea leaves are brewing in your mug.